When my first book ‘The Forgotten Monarchy of Scotland’ was published in 1998, I mentioned throughout the work the achievements of the Templars and that of Freemasonry. I particularly emphasized the fact that the latter evolved from the former over two hundred years of secret political undertakings in Scotland where they, the Templars, fled following the 1307 demise of the Order in Europe. The book became a Scottish second bestseller after 3 weeks of publication and reached number 7 in the UK two weeks later. It also set the Masonic Templar world rocking on its heels and I was inundated with letters from freemasons and Templar enthusiasts alike from all over the world. The Grand Lodge of Australia gave the book a terrific review and the Grand Lodge of Scotland decided to mention it on its website. All correspondence said the same thing ‘tell us more’. I suppose that it was a normal progression to do so. I come from a Templar family, so why not write about it from a family point of view. But should this be enough to interest the public. By fate, my best friend Walid Salhab is a Lebanese filmmaker and Lecturer at Queen Margaret College University (Edinburgh) and I mentioned to him the new project. This discussion proceeded to the small hours of the morning and gave me that special twist that would make the book ‘unique’ among all the works written about the Knights of the Temple of Jerusalem. I would not draw primarily from Christian sources but from an Islamic one. Walid would take regular trips to the Middle East in order to bring back information. Little did we know what we were letting ourselves into. It is true to say that history is often hidden until, usually out of the blue and when the time happens to be right, a treasure-trove of forgotten documents and archives is suddenly discovered and springs to life. The ‘status quo’ is then thrown out of the window and a new facet of history can then be presented to readers starving for new interpretations of past history. This is what happened when, during the past two years research, I came across what is referred to as ‘The Charles Morrisson Collection’ (about 2000 works), housed at the library of Scottish Grand Lodge in Edinburgh, Scotland. The collection’s oldest script dates back to 1615, extending into the 19th century. Some of these scripts were handwritten in Old French, some of which had been published privately, all of which had been forgotten and never consulted. It is the lack of most English speaking researchers’ understanding of the French language that is at fault here. Being bilingual, the language was not a problem for me and I was thus given a unique opportunity to bring these new finds to the world at large. These forgotten archives have greatly helped me to understand where the Templar myth ends and where masonic history begins. In ‘The Knights Templars of the Middle East’, an absorbing quest will be fulfilled in an historical subject which has long exerted a strange fascination over academics and laymen alike. True, over the past few years, publishers have been inundated with works claiming Templar knowledge but they seldom managed to live up to their expectations. ‘The Knights Templars of the Middle East’ will, I have no doubt, rock the foundation of the world of Freemasonry and the Vatican itself. Indeed Islam, particularly its origin, will emerge as something quite different to the rather naive, preconceived understanding most of the Western world has of a Faith against which many of our ancestors fought and lost their live. They need not have fought, nor died. Their being sent to the Middle East was nothing more than a ploy to, firstly, eradicate Rome’s rival Papal Seat, the Orthodox Byzantine Church. Secondly, to rid Europe of a strata of society which the Church had deemed to be too much of a financial burden and therefore to be expendable. While the Church of Rome failed in its attempt to destroy the Byzantine Orthodox Church, it certainly succeeded in sending thousands of the less fortunate of society to their death in Asia Minor under the leadership of Peter the Hermit. Thereafter, the Church had to contend with French families of rather mixed and cosmopolitan ancestries, with individuals sharing lineage ranging between Islamic, Judaic and Merovingien descents amalgamated together in the greater power of France. They, too, had an agenda peculiar to their own and ended up carving up Palestine between themselves, creating the Crusader States and Kingdoms of Jerusalem, Edessa, Antioch, Joppa and Tripoli, even Cyprus. Moreover, the Roman Catholic Church was kept at arm’s length and treaties with Islamic leaders were signed. To keep the whole Islamic/Christian understanding together, an institution was created. 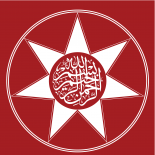 This entity would gain sovereignty and became known as the Knights Templars. To the world, it may have been a Christian organization but, in their theological understanding, it favoured Islam over the Roman Catholic Church. Islam is very much a part of the Templar equation, whether in Europe or the Middle East. 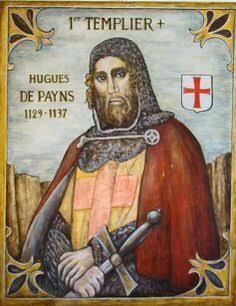 The fact that the Order’s first Master, Hugues de Payen, was of Moorish origin and of Islamic Royal descent has never before been disclosed, until now. Moorish Spain is very much part of the Templar roots but the Christian hierarchy in Rome made sure that this fact, one of many linking the Order with Islam, was suppressed for obvious religion reasons. The influence that Islamic Spain had over France and Sicily is often ignored. The fact that Cordoba, the capital of Moorish Spain, was a centre of excellence, of knowledge, of religious understanding and toleration and ‘the’ literary centre of Europe has, for many years, been suppressed by the Catholic Church. The truth, however, is that till the rise of Islam in Spain, Europe was in the throes of a cultural and spiritual Dark Age. Had it not been for the Islamic influence in Spain, the mediaeval concept of Chivalry would never have emerged and the ideals of European Renaissance would have come to nothing. Without Cordoba and its Caliphs, European architecture would never have evolved and the Banking system would not have been introduced into the West. It equated with Alexandria in terms of literary treasures, with several libraries, one of which housed no less than four hundred thousand books. As such, Cordoba is still in possession of a suppressed history of Europe; Islamic archives upon which I was able to draw. Cordoba, which can boast to have one of the most beautiful Mosques in the world, the city from which derived the word ‘croisade’. The word crusade did not, originally, imply or require Christians to kill Muslims. Pope Sylvester II first introduced the word and his definition of the word simply meant an exchange of thoughts, of knowledge, be it theological, practical or cultural between Muslims, Jews and Christians. Interestingly, Sylvester II studied in Cordoba and he was the son of the Count of Toulouse and the grandson of the Exilarch of Narbonne. Born Gerbert d’Aurillac, Sylvester II was a ‘Jewish’ Pope and was murdered by the Curia in 1003 for trying to bring a new age between East and West, an age where Catholicism was no longer to be considered the only path to salvation, only one of them. It is his later relations, including Bernard of Clairvaux, leader of the Cistercian Order, and Hugues de Payens, Master of the Templars, who created the Crusader Kingdoms in Palestine and it was his ideals which they tried to put into practice. With the rise of the Templars in the Middle East, we come to an era where pre Christian/Judaic traditions are rediscovered and translated by the Cistercian Order, an order whose roots are to be found in Islamic Sufism. With this rediscovered knowledge, the Cistercian Order becomes the Cistercian ‘Church’ and eclipses all other religious Orders. With the Templars in the Middle East, the search for the true Jerusalem goes forth, for they, the Templars, quickly realized during their excavation in Jerusalem, Palestine, that this was not the Jerusalem of Solomon but that of his descendant Zerrubabel. And, lo and behold, they find that treasure on their way to Ethiopia, in Western Arabia, while sailing down the Red Sea with a fleet loaned to them by the Caliph of Egypt. Yaru Salem, together with its twenty four city gates then remembered within the names of twenty four small villages encircling the City where the Kings of Judah formerly ruled, was found to be merely a shadow of its former self. They found more unique evidence and vestiges of a greater, though by then defunct, Jewish Kingdom in the area, finds such as the grave of both the High Priest Aaron and the cave of Machpelah where Abraham and his family are buried. That was the secret of all secrets for it was situated in the heart of Arabia, between Makkah and Medina, the Holy of Holies of Islam. As an institution which had the backing of a Pope and the Cistercian Church, the Order of the Knights Templars grew into the biggest and the most successful mediaeval corporate in the known world. It owned a staggering 9.000.000 Hectares of prime land and by 1307 their Master, Jacques de Molay, was responsible for the well being of no less than 260.000 souls. Kings, Princes and the Papacy owed the Order vast sums of money which few could afford to pay back. By 1307, the order was 190 years old and the powers that be in Europe, namely the King of France, Philippe IV, and the Pope, Clement V (a Frenchman), decided to rid themselves of the Order of the Temple of Solomon and of the Jewish threat supporting it in France. On Friday, October 13th, 1307, the Knights Templars were arrested, sequestered, and would be subsequently tortured and tried. Many would be burnt to death. By 1312, the Order was dissolved in Europe and in 1314, their Master was burned at the stake in Paris. According to the Catholic Church, this should be the end of the problem were it not for the fact that they had forgotten the Scottish equation within the frame of European politics. Scotland, fighting the territorial greed of Edward I. Scotland, under interdict of excommunication at the time of the arrest of the Knights Templars. Scotland, where the Papal edict against the Knights could not be effectively put into practice. Scotland, which would become the heir and the corner stone of Templar survival in Europe. Scotland, where a contingent of escapee Templar Knights sailed and settled, throwing their might on behalf of a King fighting the territorial greed of a foreign king. Under Robert the Bruce, Scotland regained her independence but achieved it with the help of Templar Knights who came to Scotland seeking refuge. Robert, who has been King of Scots in the heather for a year, welcomed them in 1307. In 1308, Edward II, as greedy as his father had been, dispossessed the Order in England and grabbed its properties as well as its income. From 1308 onwards, Robert the Bruce’s luck changed and the Plantagenet threat is met and defeated at every turn. Robert meets the English army with a Scottish force which, suddenly, is trained to fight in such a way that nothing can stop it, with arms which it did not own a year before. Bannockburn, fought in 1314, sees the black and white flag of the Templars fly amid the Scots Army. Defeated, shocked in his realization of those behind the Scottish successes, Edward II fled back to England, never to set foot in Scotland again. The Order was, of course, depleted, having lost many of its members on the battlefield, and those who survived decided to create an organization that would evolve into Scottish Freemasonry. Not the kind of freemasonry as we know today, but a freemasonry such as the supporters of the Stewarts in exile, that of James VIII and his son Bonnie Prince Charlie, experienced and practiced. The Stewarts, the Setons and the Sinclairs, following Bannockburn, were the families that became heavily involved with what would evolve into Scottish freemasonry. All Scots monarchs, from Robert the Bruce down to King James VII (and the Stewarts in exile), were also recognized as the secret Grand Masters of Freemasonry, a state of affairs confirmed by the Swedish Grand Lodge and Royal Family, with contemporary letters acknowledging Bonnie Prince Charlie as Master of the Masonic Templars. In effect, it once again became a political equation within Europe, so much so that the Roman Catholic Church decided to fight this new political movement by producing no less than five bulls excommunicating any Roman Catholics joining Freemasonry. However, even within its own ranks, the Church found itself facing a rebellion, finding a number of Jesuit and Dominican brothers as Brethren of the Craft. That true trend of freemasonry native to Britain had to be eradicated and was suppressed by the powers of Westminster so that the usurping Parliamentary Royal House of Hanover could be kept upon the throne of Great Britain by the Anglican establishment. In order to achieve this, the Grand Lodge of England was created in 1717, with a bogus history and newly made up rituals. Over a period of 50 years, it infiltrated masonic lodges all over Britain and either suppressed them or took them over. That Templarism survived the ploy to destroy it by the Roman Catholic Church, there is no doubt. Even the Church admits it in the 1884 edition of the Catholic Dictionary. That it evolved into Scottish Freemasonry is also admitted in the same work. That it expanded into Europe during the Stewart sojourn in exile is also explicitly confirmed. The Ancient Accepted Scottish Rite is practiced the world over, except in Britain, and boasts of a link with the Order of the Knights Templar. However, few can prove the link and this book will, for once and for all, settle the argument in favour of the Templar origin of Scottish Freemasonry. Moreover, it will show the secret architectural links between the Mosque of Cordoba, the Cistercian Abbey of Melrose and the Dome of the Rock, between Melrose Abbey and the Templars and between the Templars and mediaeval Scottish Freemasonry. The Knights Templars of the Middle East will take us on a journey from East to West, and back again, into the plots of European dynasties of Middle Eastern origin wanting to re-establish themselves in the countries once ruled by their ancestors; of a Roman Catholic ploy to destroy the Byzantine Orthodox Church; of Islamic trade traditions to be imposed upon Europe so that it could be modernized; of Scotland becoming the heir to a tradition which would be suppressed by the royal aspiration of the usurping German House of Hanover so that it could supercede the lawful House of Stewart. Interestingly, George I, as Elector of Hanover, backed a Holy Roman Empire (by then on the decline), bent into keeping the populace subservient to the Church of Rome. As a further point of interest on the subject regarding the popularity of Templarism and Freemasonry, August of the year 2000 saw the city of Stirling, Scotland, playing host to thousands of Masonic Templars who attended a major event celebrating and commemorating their world-wide achievements. London can now boast of its own Masonic research centre (offering public course programmes throughout the year), based in Canonbury Tower, Canonbury Place, Islington (London) and Sheffield University created a ‘Chair of Masonic Studies’ by September of the year 2000, having advertised the position in prominent newspapers. If nothing else, it does prove that there is a significant thirst of knowledge for freemasons and non-freemasons alike who are desperate to delve into the sources of Freemasonry. The book is not, of course, about secret masonic rituals but about masonic history and its hidden link with the Order of the Knights Templars and the order’s link with Islam. As such, it will debunk an enormous amount of speculative nonsense that has previously been written on the subject. On a personal note, I would like to point out that I am, today, the Sovereign Grand Master of all extant Jacobite lodges world-wide, having appeared within the Italian Press and on Italian TV in 1992. Due to masonic scandals in Italy, it was felt that I should emphasize to the Italian Nation that Jacobite Freemasonry had no connection with The Grand Orient of Italy. Thus, it could not be tainted by the P2 financial scandal linking the Vatican Bank and The Grand Orient with the Mafia. I am also a Scottish Freemason and, as such, will be addressing the subject as an insider within this worldwide institution. This, together with my Islamic lineage (I am descended from the Prophet Muhammad), has helped to open many doors to private collections that have never been, till now, in the public domain. Fascinating study. Where can one read more? On one visit to France I noticed in a Templar church drawings on the wall that seemed to represent images from all 3 monotheistic religions. It was so interesting. Thanks for sharing your information, but I hope to read more. In your ‘Forgotten Monarchy’ book you mentioned a legend in medieval masonry about the Grand Templar Knights of St Andrew and some building secrets that they were said to have. Where can I look this legend up? Thanks. This entry was posted on August 26, 2011 by ASFC in Politics and tagged Freemasonry, History, Knights Templar of the Middle East, Michael of Albany, Stewart of Scotland.